Spring is just around the corner. Do you have the nerve for it? The sunshine and warmer weather can be strong motivators for people to go out and play. They bring the benefits of natural Vitamin D, fresh air, longer days and the potential to do more. It can also offer changes to your fitness routine as you become more active and do what you dreamed of when the cold kept you indoors. As your energy and activity level rises, your nervous system will be tested in many new ways. Gardening, walking, running, bike riding, organized sports and pick-up games become part of your routine, and all of these activities will be more enjoyable if your spine and nervous system are healthy. If you started a new fitness routine recently or have become more active, don’t wait for a crisis to get your spine and nervous system checked. A chiropractic checkup can help you heal quickly if you are injured. Why not be proactive and prevent a hiccup to your momentum before an injury occurs? 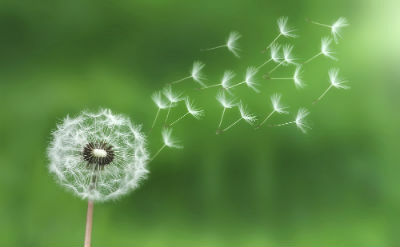 If you’ve had allergies, you may find their relief or disappearance a positive side effect of your care. Researchers have discovered molecular connections between the nerve system and immune system which explains why so many people with allergies respond to their care. You can control exposure to many toxins by making healthier nutritional choices and avoiding the environmental toxicity found in fertilizers, insect repellant and commonly used household cleaning supplies. Keeping your nervous system and your family’s healthy with regular chiropractic check-ups can make a difference in your body’s ability to resist and adapt to these toxins, pollen and irritants. If you’re an athlete who’s upping your mileage, research has shown that nerve compression can exist without pain and your bones and joints can begin to deteriorate on a microscopic level within a few weeks. This can slow your reaction time and lead to unnecessary injuries. For children and adults, nerve compression can mimic symptoms of many other conditions and even affect the function of your organs and systems. Now that warmer weather is arriving, it’s time for you to blossom. Don’t sidetrack your desire to enjoy this beautiful time of year. With Lifestyle Chiropractic Care, you’ll have the nerve to enjoy every season as fully as you want!